Hey Rune Readers, sorry no new comic today. Instead I decided to do up a special piece to celebrate making it to the two year mark with this comic. 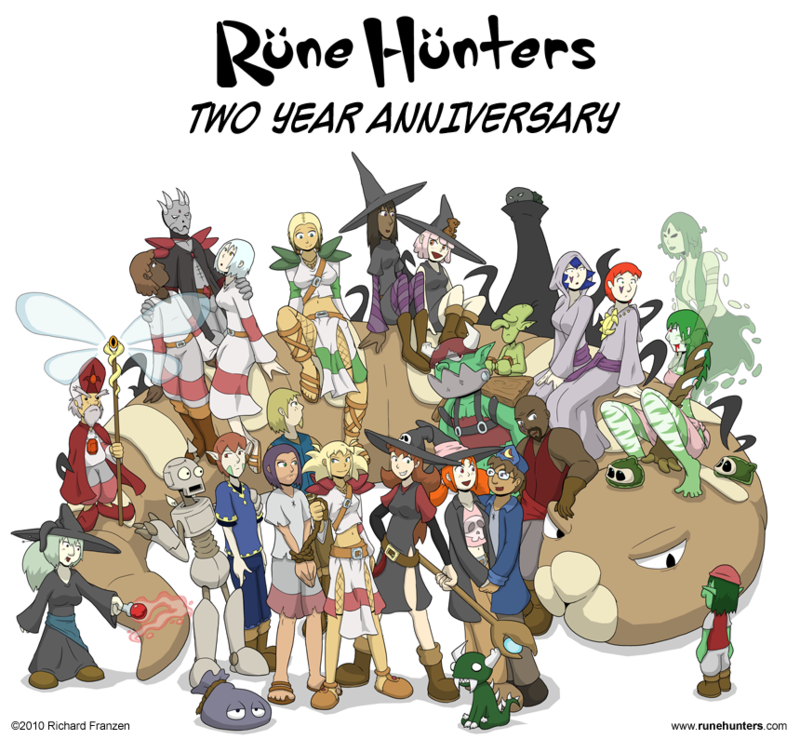 As you can probably tell from the piece, it has practically every character who has appeared in Rune Hunters in it. Two years, two running plotlines (or three if you count Nanno’s sidestory) has resulted in a lot of characters appearing, and I figured the best way to celebrate was to get them all together for a nice group shot. I hope you enjoy this very special piece of fan service (not that kind of fan service, you pervert) and return again next week to find out the fate of Asura, Kate and Dimitri.